Seeing as this is still in beta, its probably just not a feature yet... But, is there a way to add your own fonts to Studio? I've search far and near but can't seem to find a answer anywhere. To add or import a font into Studio, you'll want to first add the specific font to your computer's font book. Once added, the new font should display as an option in the font dropdown in Studio. Please note, you may need to restart Studio if the font doesn't show up right away for you. The problem is same with me. I tried installing the font and restarted the application as well as the computer, still not working for me. Reminding me of days when we install font and reboot the early version of windows to reflect the font. Can you help me out? or is this a bug which is not fixed yet? 3. Can you please provide a screenshot or screencast of this issue? 4. Are there any fonts in particular that you are having trouble with? Hello. I'm having that problem with some fonts too. I'm trying to use NeoTech for ages and doesn't appear on the font dropdown. 3: It shows the font but doesn't allow me to use it. 4: In this case it's just NeoTech but I suppose that it may happen with more fonts since more people is having this issue. Thank you very much for providing those details. I would like for our Support team to take a closer look at this. I will open a ticket on your behalf with our Support team so that they can do some further troubleshooting. Please look for a message from them soon. Would like to add that I am also having issues with adding fonts. Installed the font: "NeoSans Black.otf". Not displaying after a reset of the application. Also on a Mac. It appears as if one of our Support agent attempted to reach out to you on the ticket I had opened for you without success. Can you please check your spam and other email folders for the email connected to this account for an email with the subject: "Request created from: Studio: Adding fonts"? Our Support agent has ran into this issue trying to access some fonts in Studio as well. The last time they had this problem, they had to quit Studio by going to InVision Studio > Quit InVision Studio, then reopening it again. After that, they were able to access the font. However, if you are still having this issue, I will need to open another ticket on your behalf so that you can provide the NeoTech font to us for testing purposes. From your file browser, drag the font file over to the computer in the Mac Font Book. If you drag to User, it won't show in studio. Restart studio and you should see the font. Thanks for reaching out here in this thread. Am I understanding correctly that you have found a solution for this issue? Or are you still facing issues with adding fonts in Studio? I also face the same problem. Today version, today mac OS. It worked after a couple restart. Would like to say that the problem no longer exists for me, it is fixed! I'm running latest IS on Sierra 10.12.6. Same here, unfortunately. I have tried reinstalling and even waiting a few days with no success. 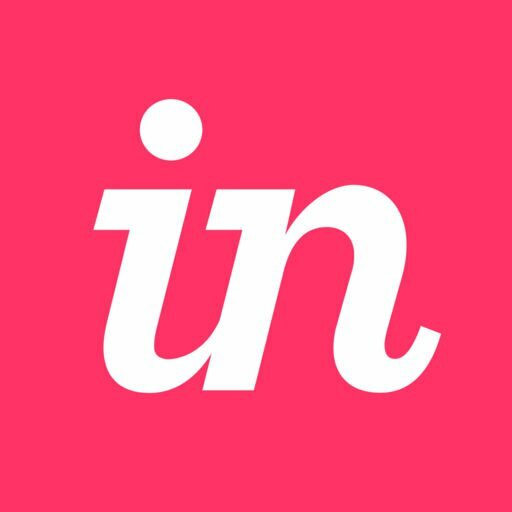 Fonts are loaded in sketch but when I import to Invision Studio they are gone. 1. Hi Beth, I'm using the latest version downloaded from your website (Version 1.7.0). 2. Here is a screenshot of about my mac. 3. This is pretty weird. I have tried to screenshot the issue and found out that some fonts work, some don't, and some work only when I switch to the from a specific font. Anyhow, the issue seems to be with specific fonts (I'd rather not screenshot the design as it's for a client). Thanks for providing that info! I'll pass it along to Support for you. Keep your eye out for an email. I have the same problem. Also tried Chads solution with no resolve. The font is "Web Symbols", MacOS 10.14.2, Invision 1.7.0. Trying to find a work around, since the app really has some promise to it. Sorry to hear that you're also running into issues with adding fonts in Studio 1.7.0. I appreciate you providing your version details and the specific font in which you're encountering issues with. I would like for our Support team to take a closer look at this for you, and I will be opening a ticket on your behalf. Please look for a message from our Support team soon requesting additional information for troubleshooting. I just ran into the same issue, but i found a solution that works for me. When you install fonts, by default they are only installed for the "user". What you want is to have them install system-wide. In order to do that, open the "Font Book.app". Click the "Computer" tab on the left sidebar. Then you should see a "+" button in the toolbar. Click that button and locate your custom font. Launch InVision and your font should be there! Thanks so much for providing that information for the Community, Joffrey! Please let me know if you continue to have issues, and I would be happy to look into this for you. 1. What version of Studio are you running? 2. Can you please clarify what font(s) you're experiencing this with? 4. Can you please provide a screenshot or screencast of this issue? I've tried it again and now it works well. So if i wait a day it will work i think. Glad to hear that this is now working for you, Mandy! This could have been caused by several things, including your Studio version. If you have any troubles with this again in the future, please don't hesitate to reach out. After adding the fonts to my FontBook and restarting inVision the fonts did not show up in inVision. I quit the application again then restart my computer. After relaunching inVision, the fonts appeared in the "Typography" drop down menu. I've tried all of these things and it isn't working for me. However, when I go to FontBook, I only see the font I want to add under "user", it doesn't show up in "computer". What does that mean? | However, when I go to FontBook, I only see the font I want to add under "user", it doesn't show up in "computer". "?